In Which the Pirate Knits with Handspun. No. (I didn't even take any pictures.) It's not that the heel was poorly designed; it's actually great. It's that my calculations were off in pretty much every way. I'd started too late, so the foot of the sock was too big. And I'd increased to too many stitches, so it was also baggy. I ripped back to just after my initial increases and did some more research. It's difficult to try on a sock at this point but I did wriggle it onto my foot, and it seems to fit just right. 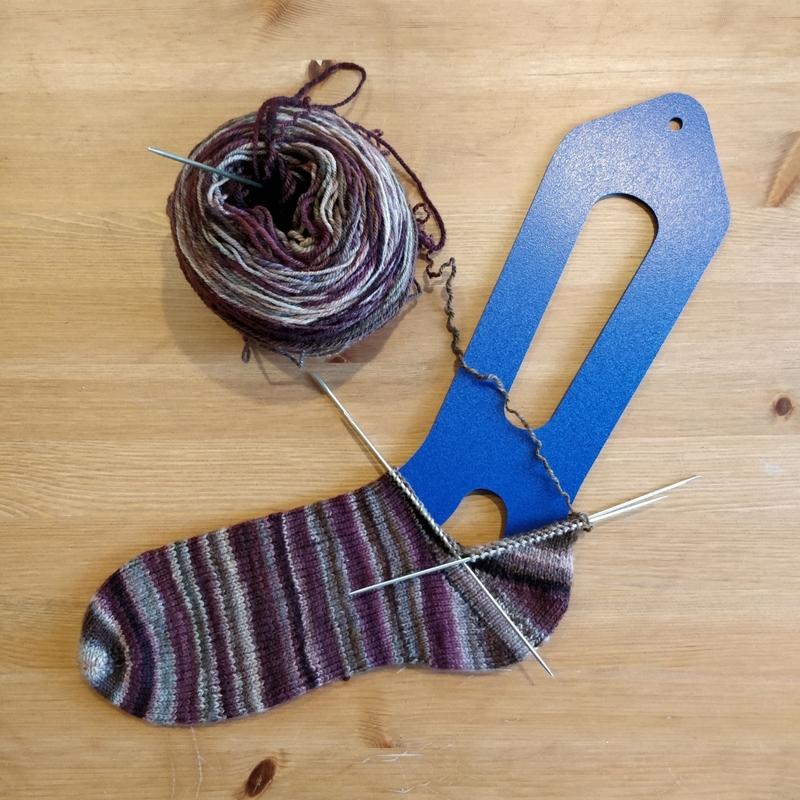 It's *impossible* to take a photo of a half-knit sock with DPNs sticking out everywhere while it's on your own foot, so I slid it onto one of the blockers for a photo op. 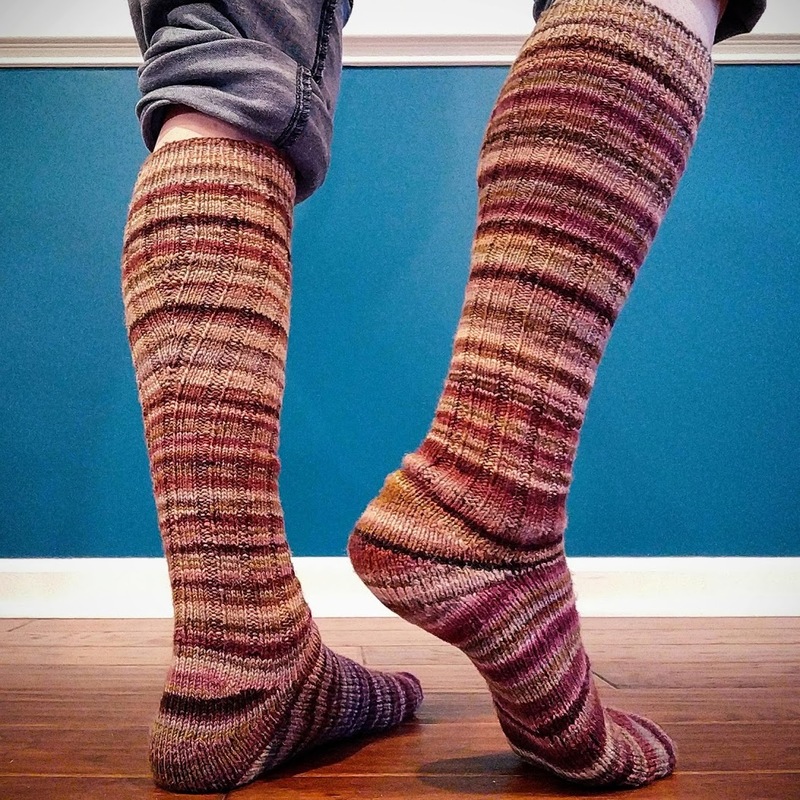 So far I like the Sweet Tomato Heel *way* better than the standard short-row sock heel, and I definitely want to use it in more socks! 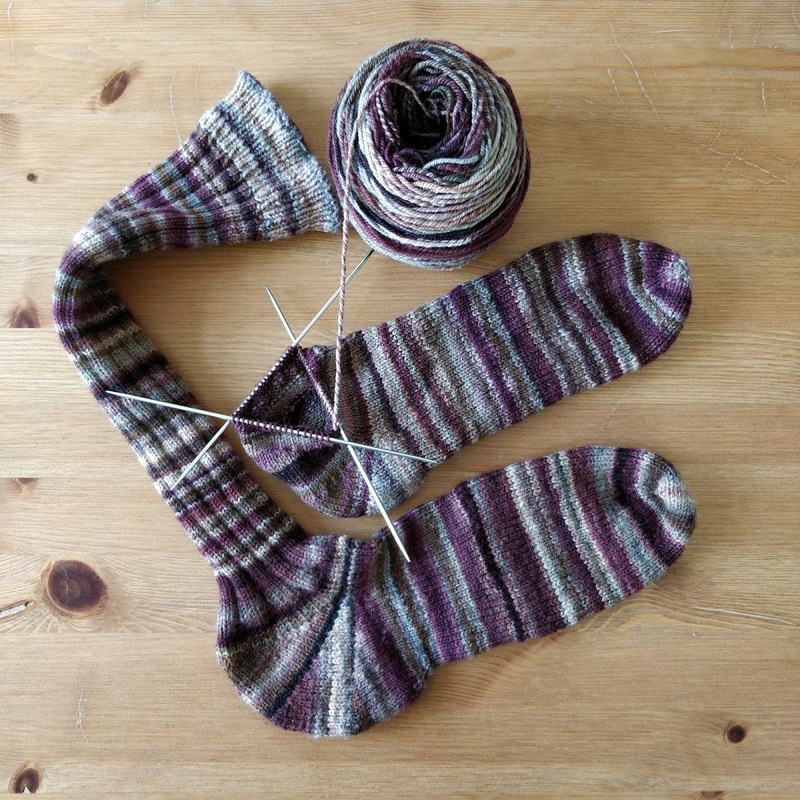 I'm going to have to try it with regular sock yarn to see if it still needs the pre-heel increases, at least. 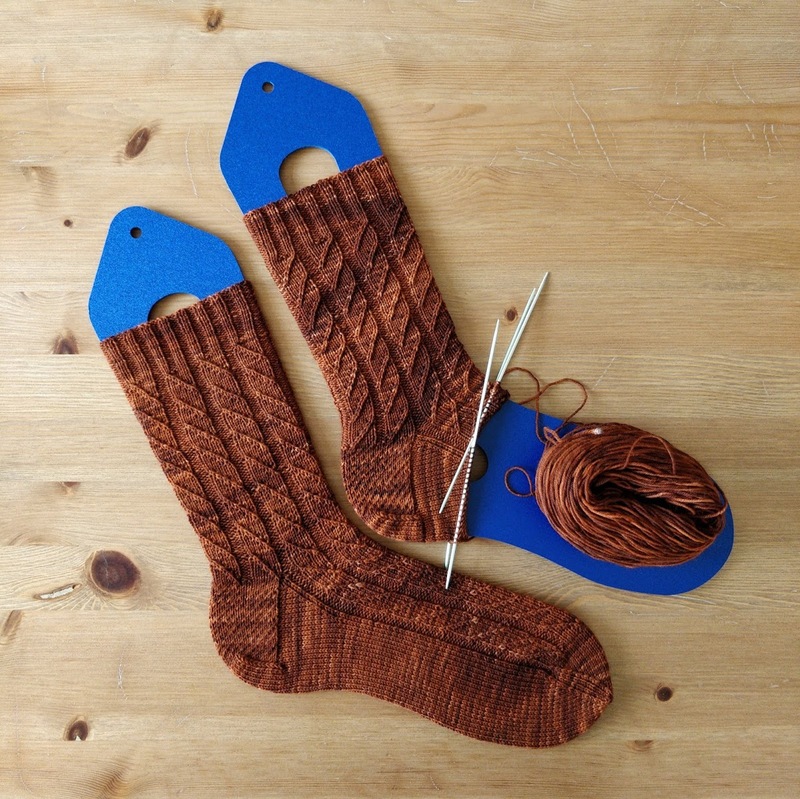 One thing I *really* like about the Sweet Tomato Heel is that I'd feel comfortable just knitting it from memory, which is a lot of points in its favour for whatever sock-in-progress is traveling around with me. Comments Off on In Which the Pirate Knits with Handspun.